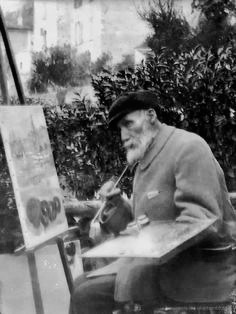 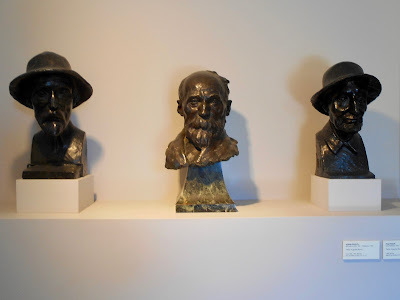 Auguste Renoir developed arthritis in his later years and on his doctor's advice moved to Cagnes-sur-Mer in the hope the Mediterranean climate would help. 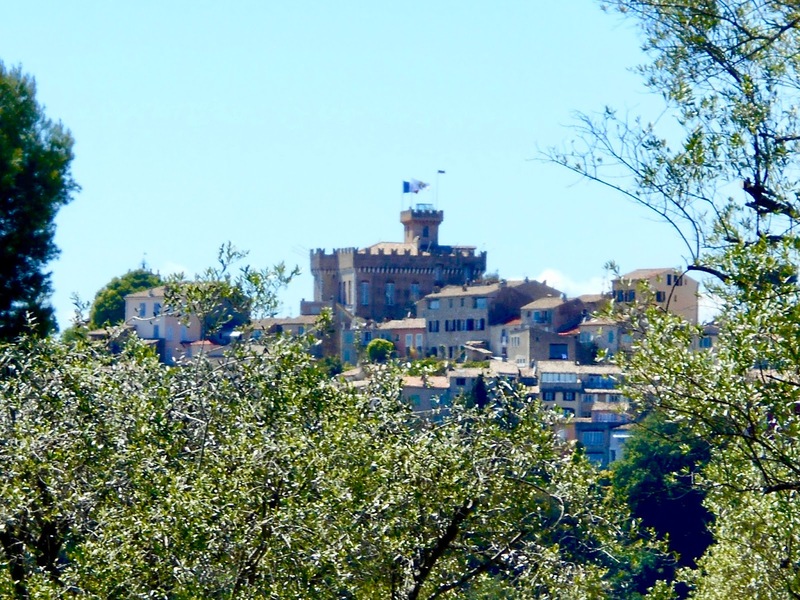 Cagnes-sur-Mer is an easy bus ride from downtown Nice (via bus #200 at the Albert 1er stop). 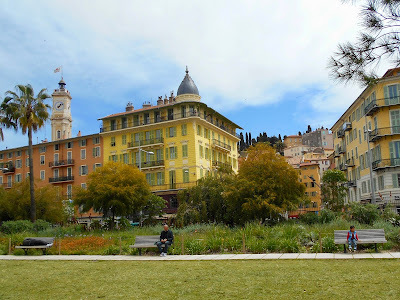 Les Toits du Vieux Nice (The Roofs of Old Nice) was painted by Renoir in 1915 and not surprisingly has changed little in the past century. 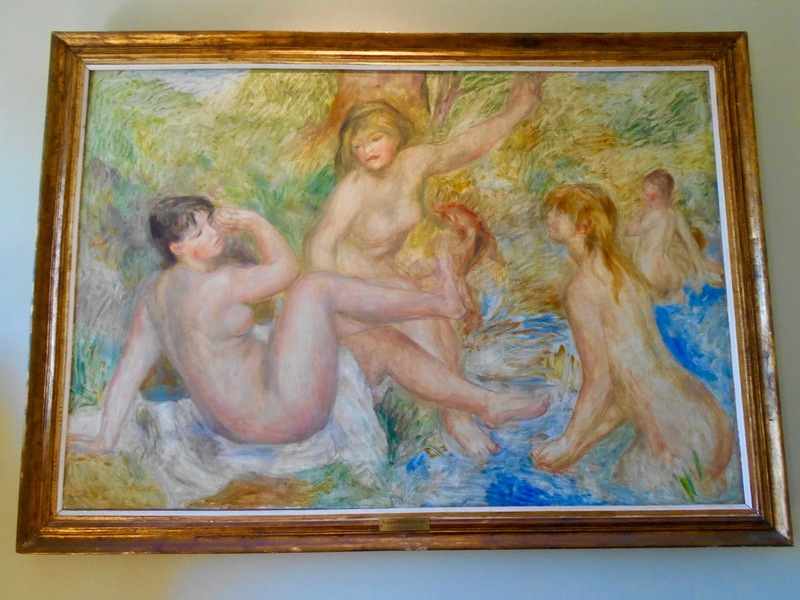 Born in Limoges, France in 1841 Auguste Renoir became one of the central figures of the Impressionist movement. 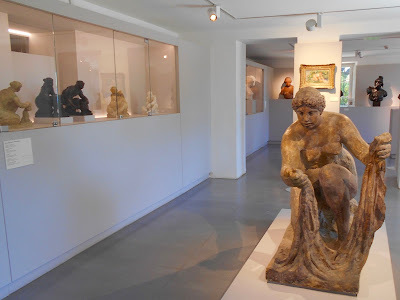 He also dabbled in sculpture and pottery. I had to chuckle when I spied the juxtaposition of this sculpture alongside the museum attendant immersed her book. 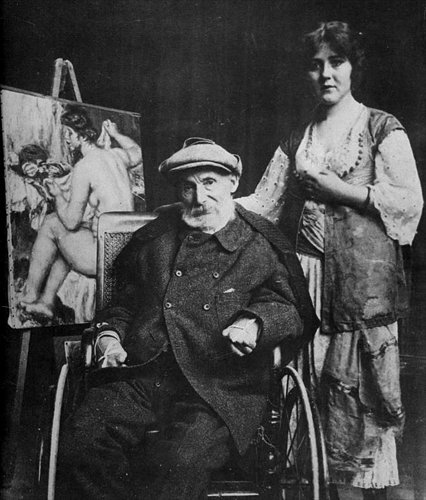 Renoir's arthritis grew more severe as time passed and when he could no longer hold a paint brush he tied them to his wrists. 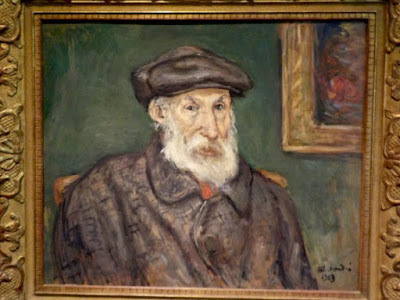 This allowed him to continue painting until his death in 1919. 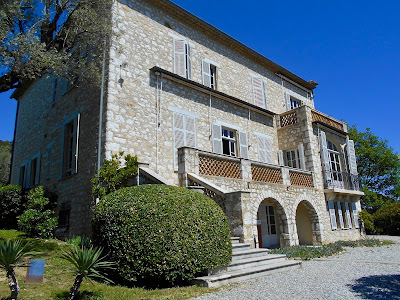 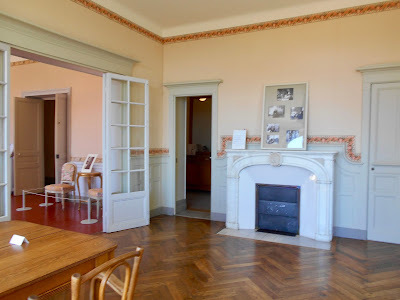 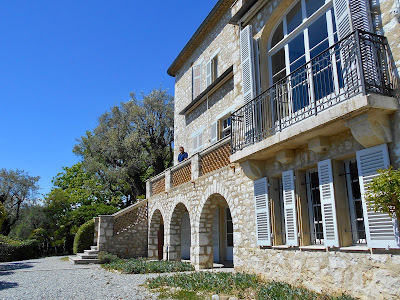 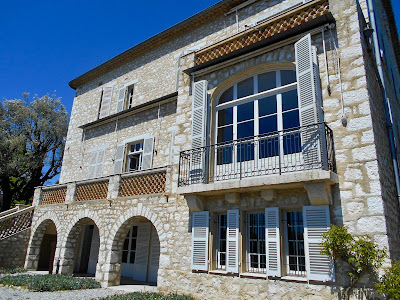 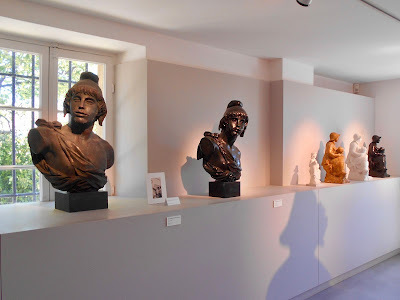 While the majority of his major paintings are on display elsewhere what sets the Renoir Museum at Les Collettes apart from the others is this was his home. 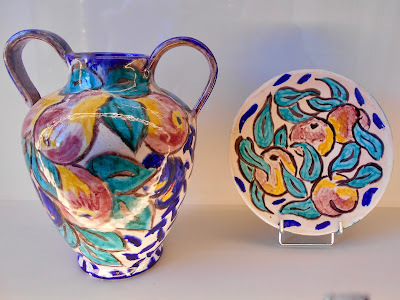 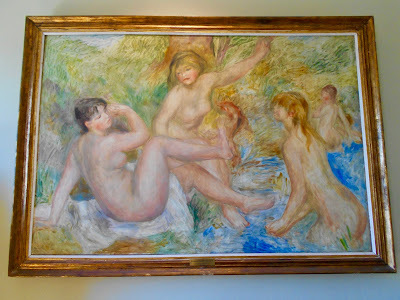 Strolling around the house and grounds one feels a personal connection to the artist, however tenuous, and imaginations soar as to what every day life might have been like. 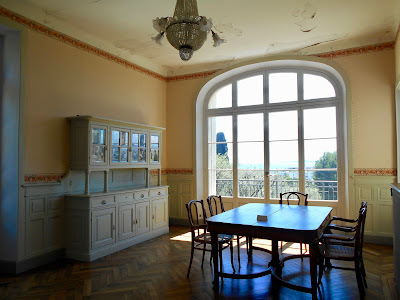 One look at the view of the Med from the dining room window and it took all of my willpower not to pull out a chair, sit down at the table and just enjoy the spectacle! 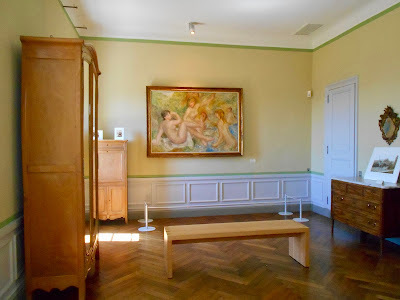 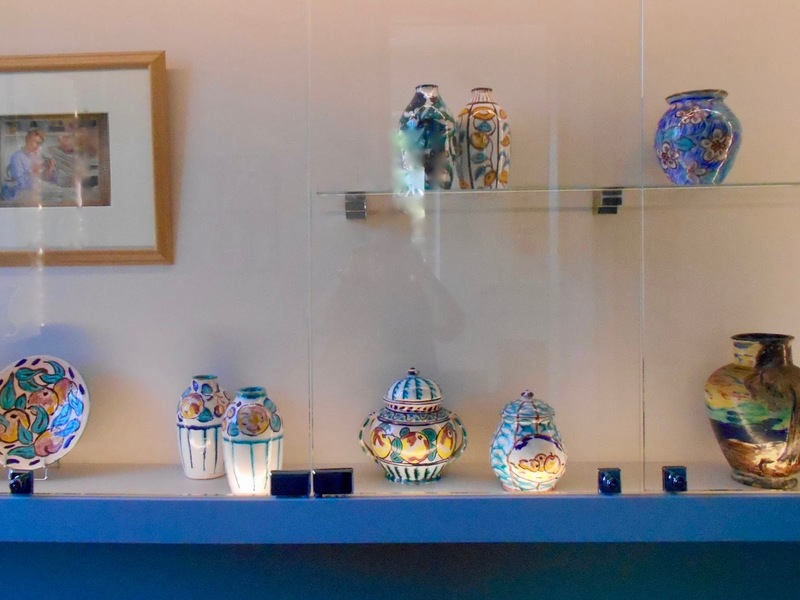 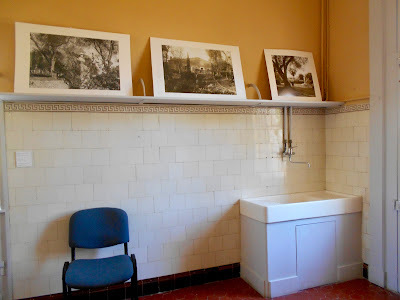 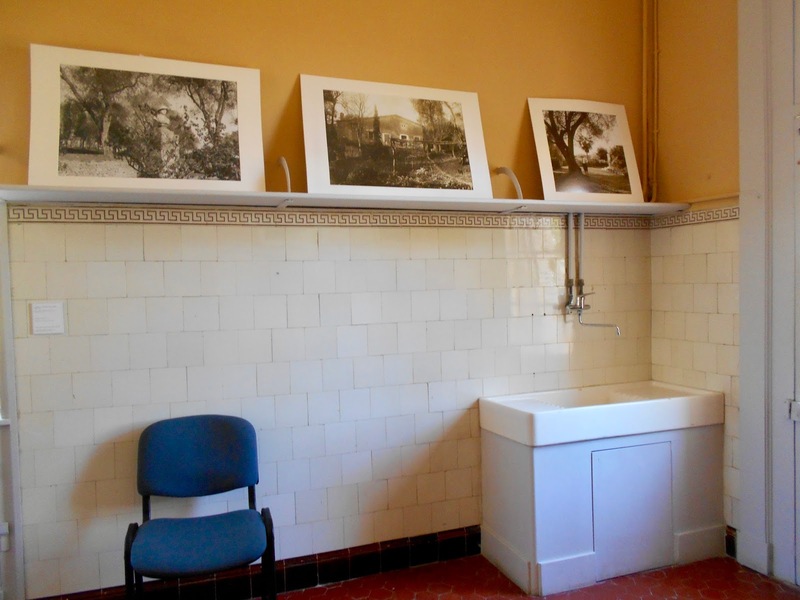 All of the rooms displayed family photographs and memorabilia as well as fourteen original paintings by Renoir. 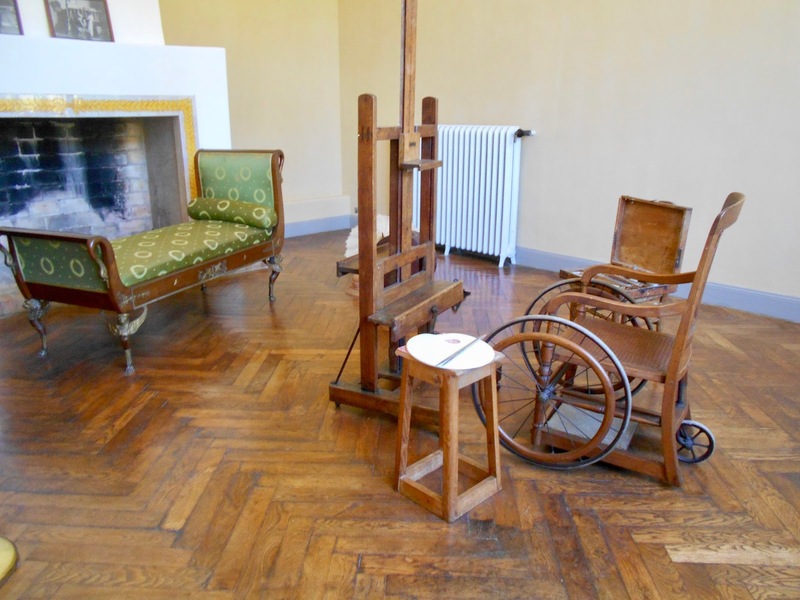 Checking online I realized the furnishings have been whittled down over the years. I am unsure why, but whatever the reason this sparsity diminishes the home and exhibits. 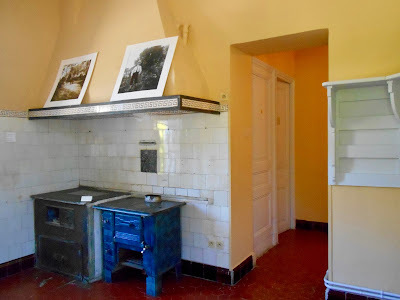 The kitchen in particular felt rather soul less. 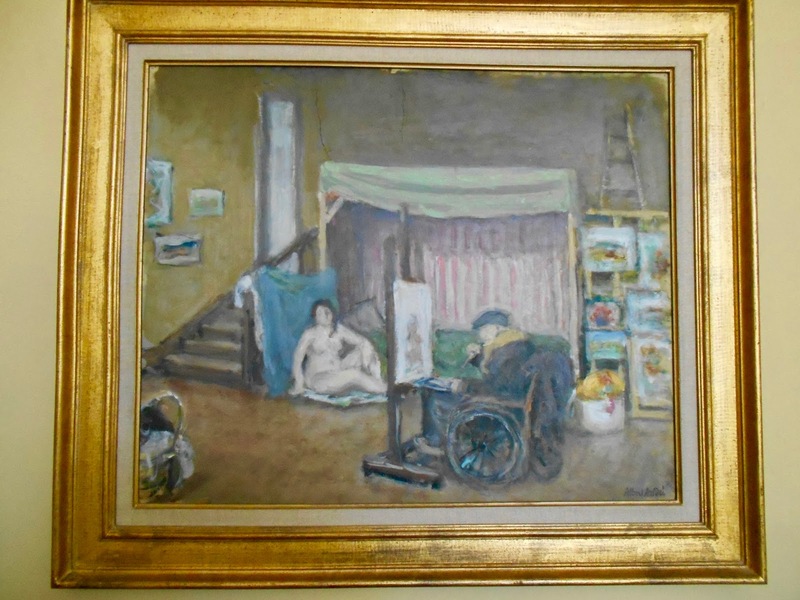 The artist's studio, thank goodness, includes Renoir's wheelchair as well as a fainting sofa and props for his models. 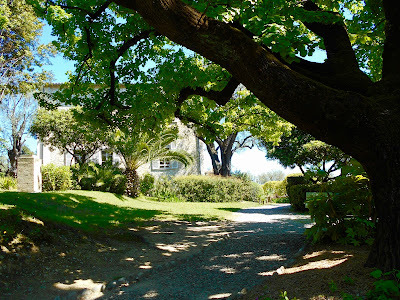 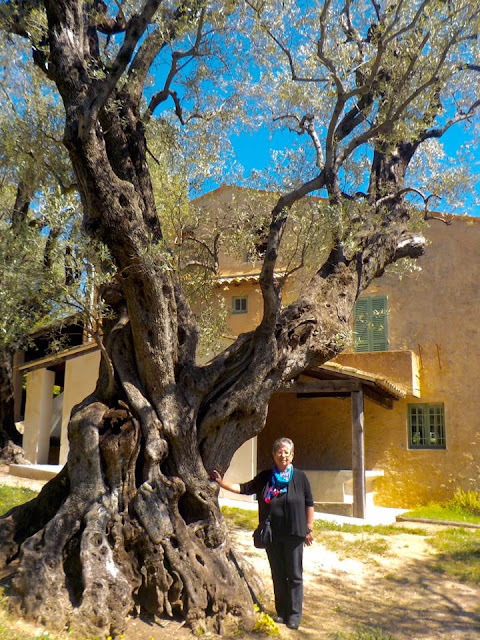 The home is located on a hill and includes seventeen acres of centuries old olive trees. 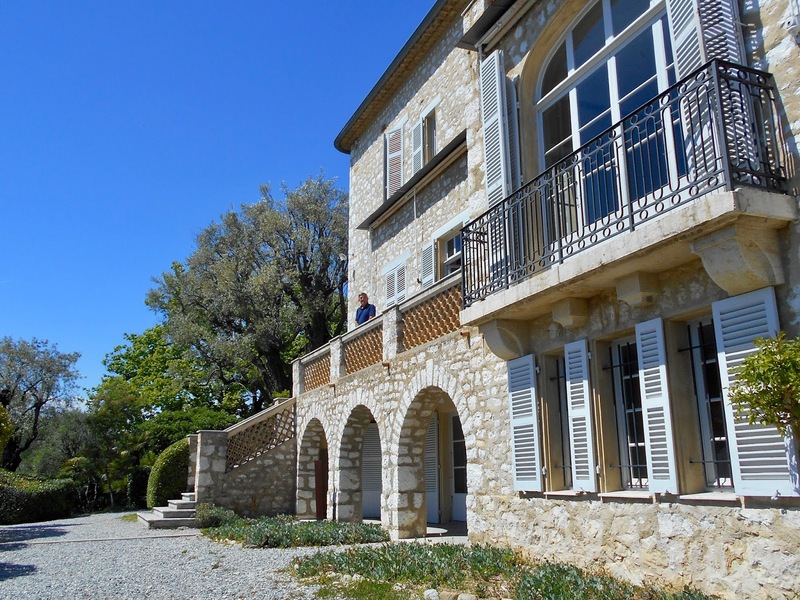 Also on the property is a second building (barn) that is now used for administration purposes. 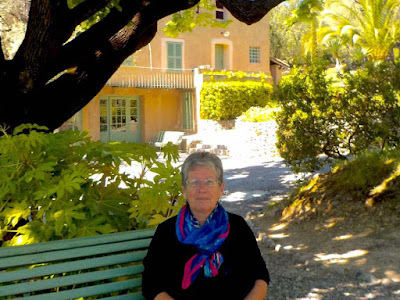 Here and there are benches to enjoy the serenity of this place. While we sauntered out of doors we spotted small groups of painters working plein air. 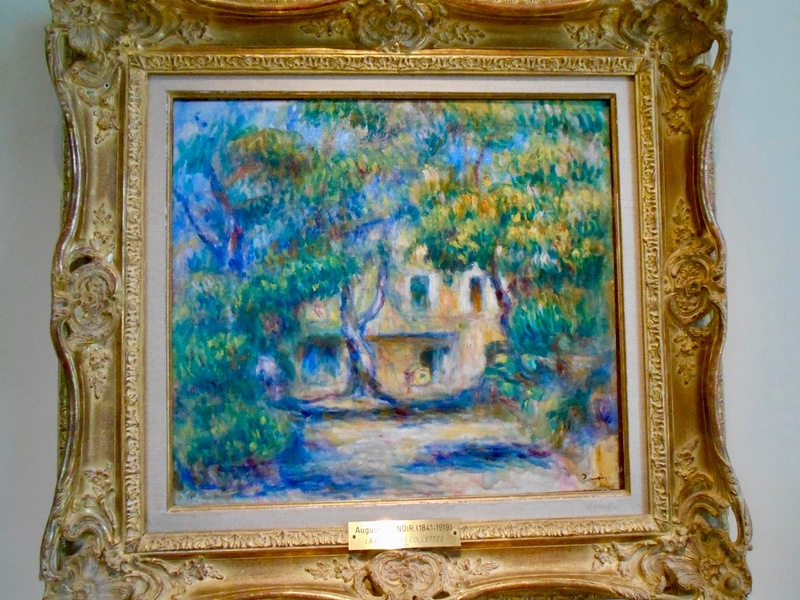 This style of painting outdoors became a central feature of Impressionist artists and Renoir embraced the concept while living at Les Collettes. So much of travelling depends on one's ability to step inside a stranger's shoes - if only for a few brief steps. 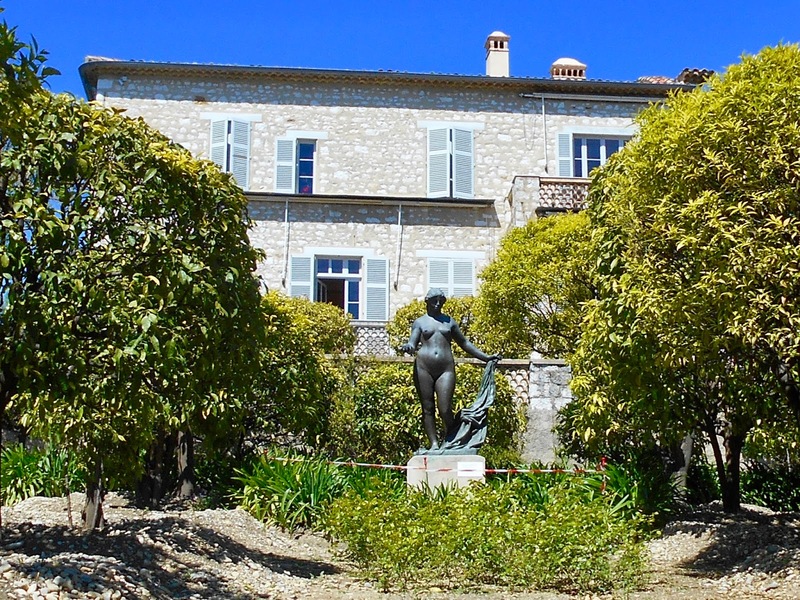 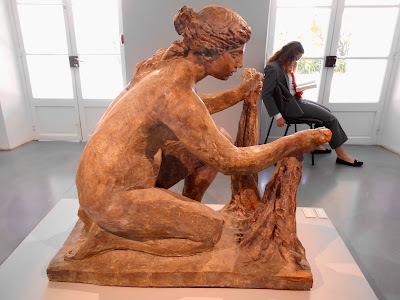 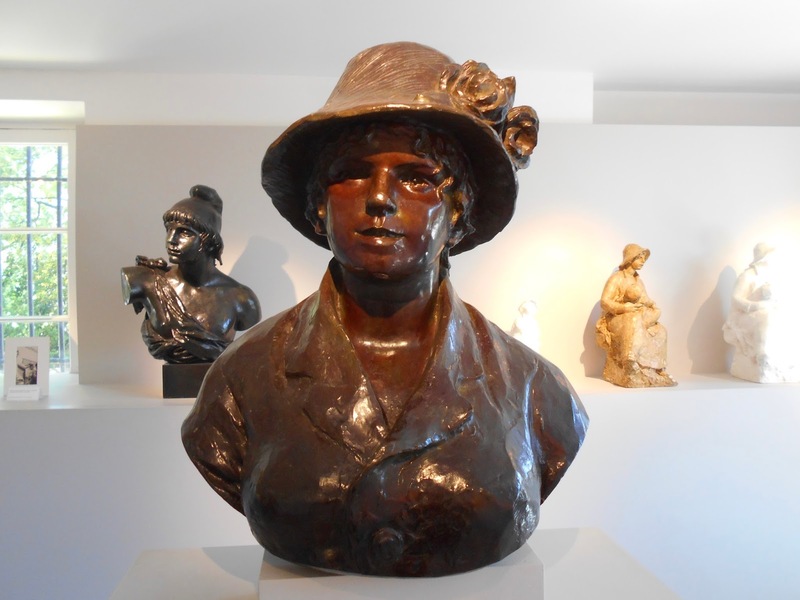 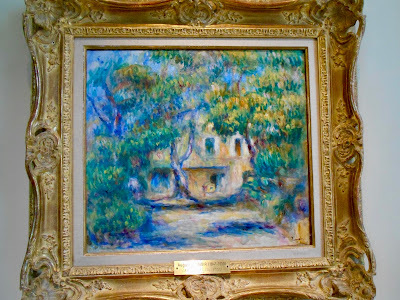 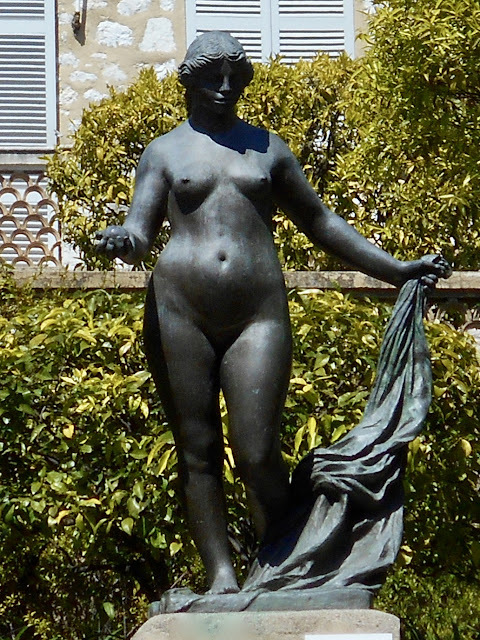 The Renoir Museum enhanced our knowledge of the Impressionist movement and our visit to beautiful Cagnes-sur-Mer. 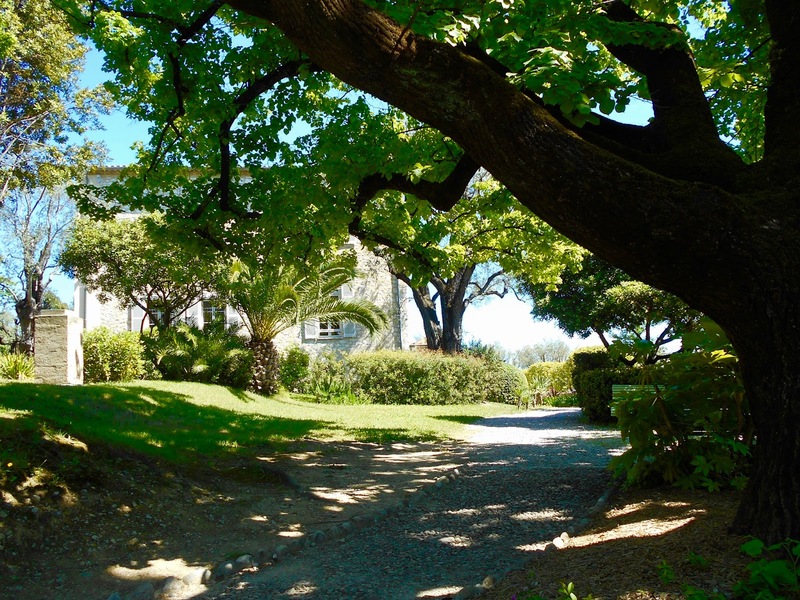 We can't think of a better place to spend one's golden years.